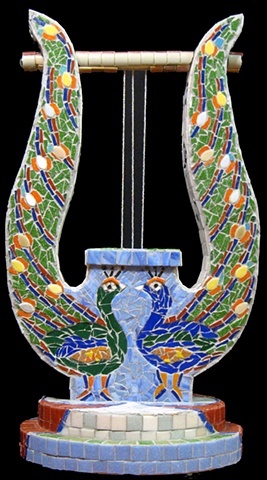 "Poema is a lyre made to the original size of lyre, which was a stringed instrument referenced in the Bible. It is believed that lyre was the instrument king David used when he wrote the psalms. The strings are beaded to show some depth."